U.S. #2016 – Robinson was the 5th honoree in the Black Heritage series. 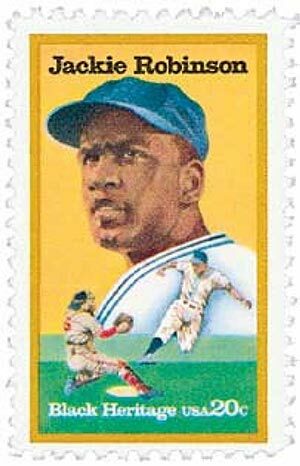 Jackie Robinson was born on January 31, 1919, in Cairo, Georgia. The grandson of a slave, Jack Roosevelt Robinson was the youngest of five children raised by a single mother. He excelled at sports from a young age, playing football, basketball, track, and baseball at Pasadena Junior College. In 1938, he was honored as the region’s Most Valuable Player in baseball. Robinson’s older brother Matthew was also an athlete, earning the silver medal at the 1936 Olympic Games in Berlin. He encouraged his younger brother to follow his love of sports. 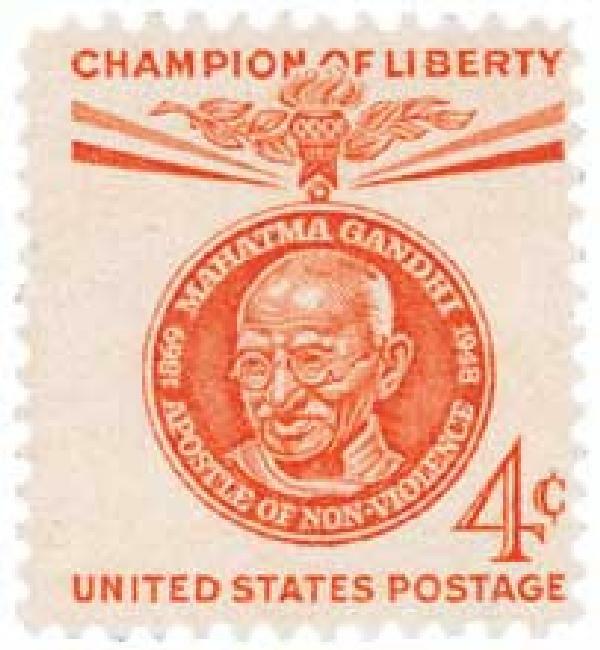 U.S. #1174 – Gandhi was the 10th honoree in the Champions of Liberty series. On January 30, 1948, a Hindu extremist assassinated Mahatma Gandhi. Mohandas Karamchand Gandhi was born on October 2, 1869, in Porbandar, India. The son of a government minister, Gandhi was a shy child, raised in the strict Jainism religion, which promoted non-violence, fasting, meditation, and vegetarianism. However, following his arranged marriage at the age of 13, he began to rebel – smoking, eating meat, and stealing. U.S. #936 honors the 241,000 men and women who served in the Coast Guard during WWII. 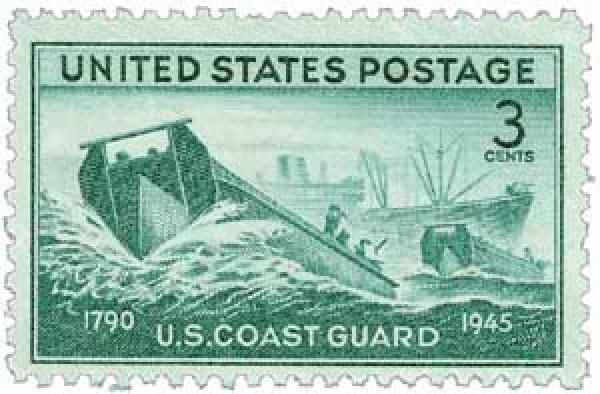 On January 28, 1915, the Revenue Cutter Service and United States Life-Saving Service were merged to form the U.S. Coast Guard. The U.S. Coast Guard traces its roots back over 225 years to the Revenue Cutter Service. Both before and after the American Revolutionary War, smuggling, shipping control, pirating, and revenue imbalance were issues along the American coast. 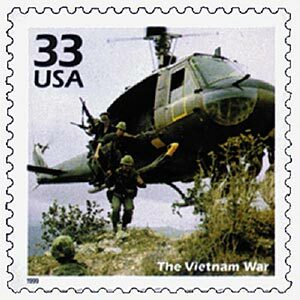 U.S. #3188g – About 2.6 million Americans fought in Vietnam. On January 27, 1973, the Paris Peace Accords ended U.S. involvement in the Vietnam War. In the years leading up to the war, Vietnam had been under the control of France and Japan before earning its independence in 1954. The country of Vietnam was divided along the 17th parallel, with a communist North and an anti-communist South Vietnam. A general election was planned for 1956, when the country would reunite under the form of government chosen by its citizens. 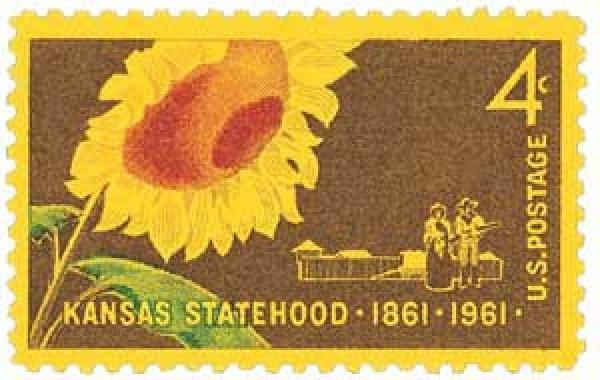 U.S. #775 pictures the state seal and flag, as well as farm and city scenes. 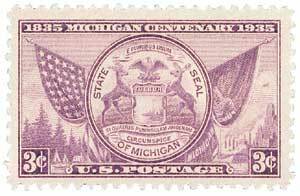 On January 26, 1837, President Andrew Jackson approved Michigan’s bid for statehood. French explorer Étienne Brûlé was likely the first European to visit Michigan when he explored the area around 1620. In 1634, Quebec Governor Samuel de Champlain sent Jean Nicolet to search for a route to the Pacific Ocean. Nicolet sailed through the Straits of Mackinac and explored the Upper Peninsula. In 1660, Father René Ménard established a Jesuit mission at Keweenaw Bay. The first permanent settlement was created by Father Jacques Marquette at Sault Ste. Marie in 1668.